Google Places SEO: 8 Proven Ways to Dominate Google Local in 2018! 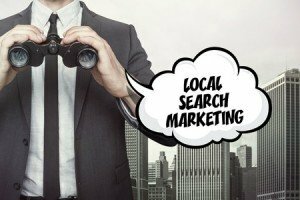 Do you want to dominate your Google local places search results in 2018? 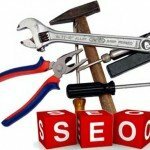 Then follow the 8 SEO steps listed below and you will beat your local competition! Many businesses, especially small businesses, think that achieving first-page organic search results (as opposed to paid-for AdWords type results) is a near impossibility. But the truth is, for local businesses, success in the organic results is now more achievable than ever. With a little SEO ingenuity and knowledge of how Google places SEO works, you’ll always have the upper hand on the competition. 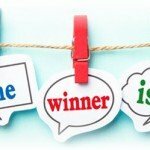 These techniques are not manipulative; they simply involve having a greater understanding of how local Google search place results work than the competition. The most important concept to understand is that there are are two primary types of local online search results: (1) Local Organic Results and (2) The Google Local Places Results (often referred to as the Local 3-Pack — use to be 7 local results on desktop but no longer). With this knowledge, followed-up by taking action, you will be able to dominate the local competition in the Google results. 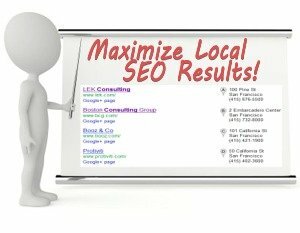 With nearly 100% certainty, I can tell you that you have seen the differences in the Google local search results. Anyone who has ever searched Google has seen these local search results. However, now I am going to have you look at these local search results with an eye towards acquisition of knowledge. Because it is with this knowledge that you can learn to achieve high-rankings in the local search results. Examples are always the best way to illustrate a concept. So let’s begin with an example! Let’s say that my hypothetical children have reached the age where they will be attending primary school. 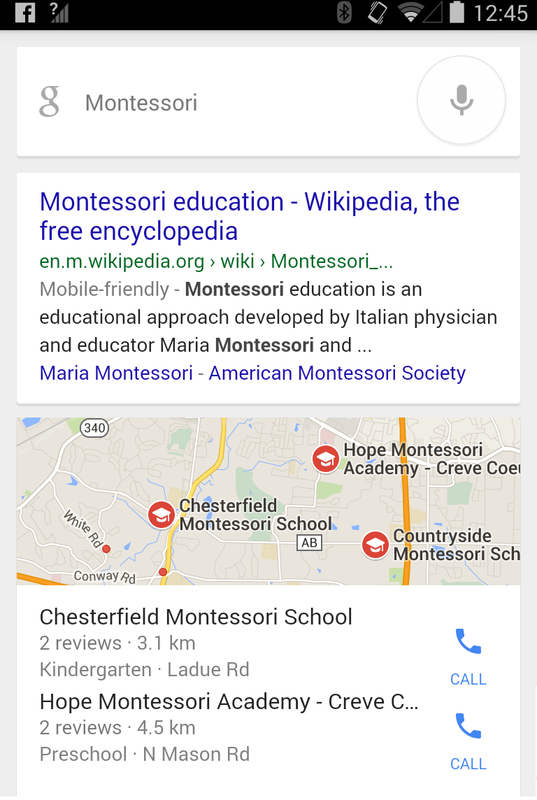 Having heard that a Montessori education may be the best for my children, I head to Google and do a search for Montessori. Google delivers these local search results according to many factors but one of the principal factors is the searchers’ location. 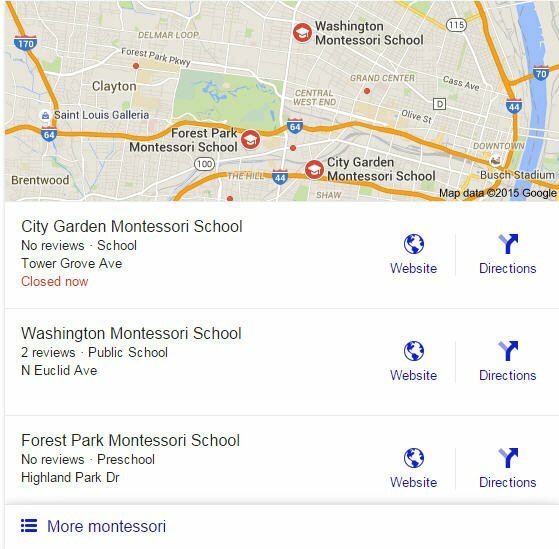 For example, the search above was simply for the term “Montessori” from a computer located in Chesterfield, Mo. Thus, Google geo-locates the searcher and provides nearby results based on the search term. Google Local Places Results: What is “Centroid” Bias? Results differ according to many factors. Simply by adding the term “St. Louis”, Google removed the top organic results and re-focused the local results to be closer to the city center, otherwise known as “Centroid” bias. In some cities, St. Louis being one of them, Centroid bias can be a very negative thing. The reason for this is that, technically, very few people who “live in St. Louis” actually live in St. Louis. Most people live in the suburbs (which are technically not St. Louis) but still use the term St. Louis when searching. However, Google only shows what is technically St. Louis. Fortunately, now that more searches come from mobile devices than desktops, Google appears to be slowing modifying this “Centroid” effect based on geo-location. Thus, when a user searches a term from their mobile phone, the mobile phone location will be the new “Centroid”. So, as we can see, one small search can present many different results based on minor changes such as the device used, the location of that device, and minor modifications in the search term used. 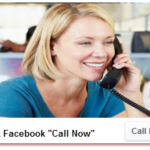 And, do you notice the “call” button in the picture above? On a mobile device, searchers can simply click that button and call your business immediately. How great is that? But, when will Google put your phone number in their search results? It is but one of the Google Places SEO 8 influencing factors that we will get to right now! There are several independent and overlapping factors that influence both the organic and local Google results. 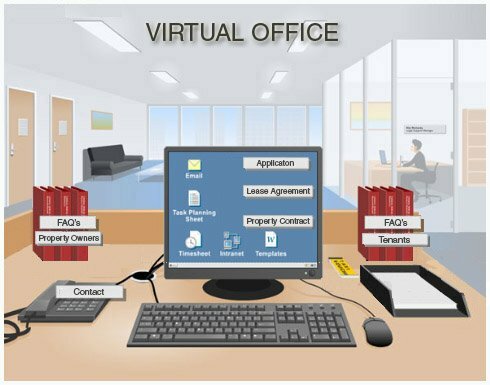 To achieve outstanding results from local searches, it is important to leverage all of these influencing factors. Here is a color-coded list of the top 8 influencing factors presented by Moz in their outstanding annual report entitled The 2017 Local Search Ranking Factors. 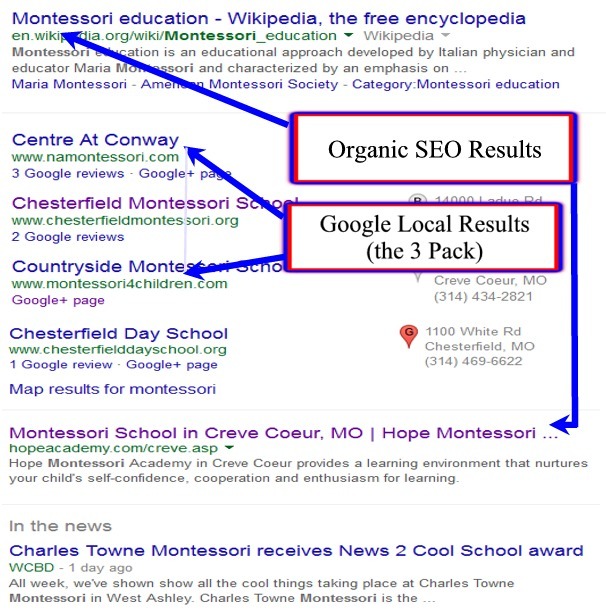 While all of these factors are important, they each have a varying degree of influence when it comes to the two types of search results: local organic results vs Google Places results. 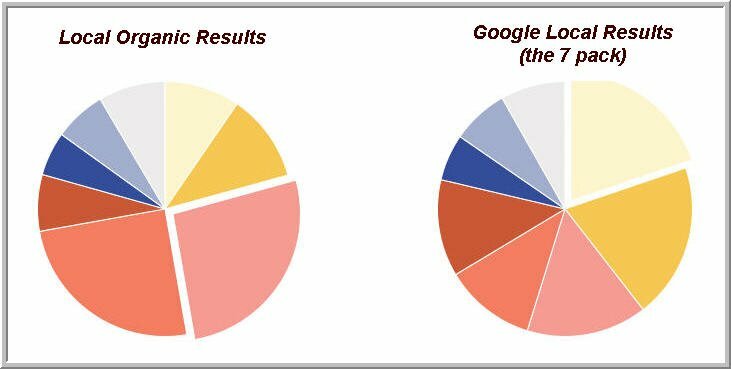 In the following two pie charts, we use the color-coded factors above to illustrate the level of impact each has on the two types of local search results. The pie that is set-aside is the single most important factor in each type of local search result. As we can see from the graph, the local organic results are influenced most by On-Page Signals. In many cases, a local business can win the top organic results simply by having great on-page SEO. For example, I see numerous local companies who miss many of the basic items on their homepage…like not having a city name and not using keywords about what they do. For the Google local places results, we see that certain business signals are a priority. The primary business signals for the best Google local places results come from Google My Business (GMB). If you get your GMB page setup properly, you will jump ahead of much of the competition immediately. In looking at these factors in a top-down manner—from most to least important—we can get a very good sense of the areas on which you need to focus to dominate local search for your business. Now that you know each of these 8 factors to dominate local search, how do you learn how to implement them or go about making sure that you have done everything correctly? I won’t leave you hanging here. 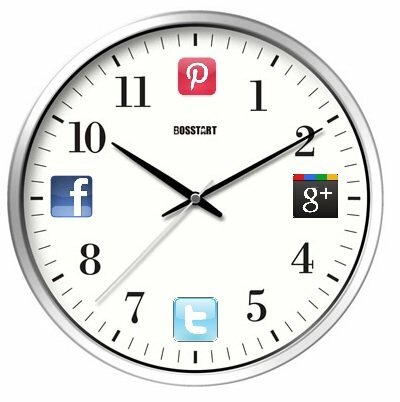 You know that The SEO System is a content marketing strategy all about taking action everyday so that your small business can thrive online. So, where do you get started? 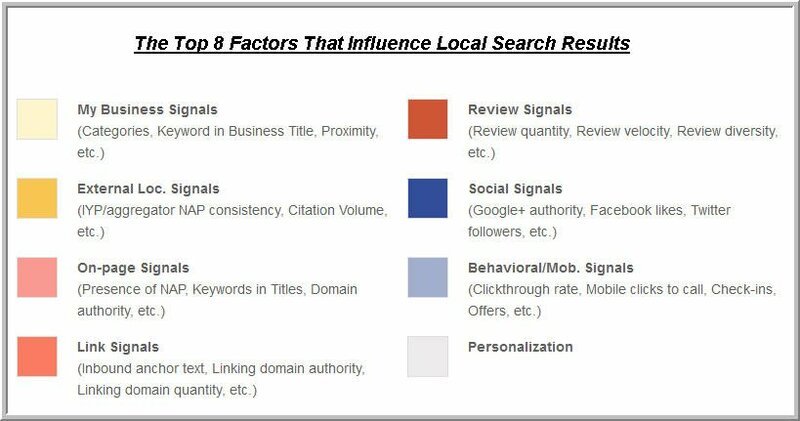 Below, you will find a chart of the 8 factors that influence local search along with several good links to further understand each topic. Throughout the last several years, Google has made it more difficult for small businesses to compete online against the big boys (see Small Business Online Marketing: David vs Goliath). However, one notable exception to this is in the local search results, both the Google organic results and the Google places local results. 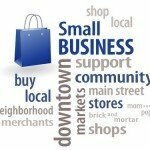 And, if you are a local business, that’s great news because all of your clients come from the surrounding areas! You now just have to do one thing: Take action!